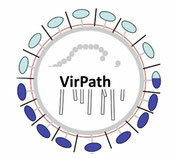 Signia Therapeutics is a spin-off of the VirPath Lab (University Claude Bernard Lyon 1, Lyon, France). Signia Therapeutics proposes an innovative and versatile platform for antiviral drug discovery and repositioning based on globally targeting the host cell instead of specific viral molecular determinants. The Company’s strategy is well adapted to the pathogenesis of respiratory acute infections and provides a novel approach for the identification of broad-spectrum effective antivirals. The innovative and proprietary platform will offer the minimization of drug resistance, with significant regulatory and financial benefits compared to the time-consuming and costly process of classical de novo molecule development.